I was wondering if anyone has tried or is using the Winx system? I just stumbled across the company's web page and find the system interesting. 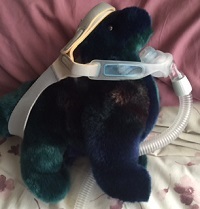 I have been moved to a Auto BIPAP machine and having success but the mask noise is too load. I have sent a message to my doctor to find out if this system is a possibility. I want quiet therapy. There is no such thing as quiet mask. I haven’t heard much about the Winx system accept for reading an article, and I think I looked at their web site but other than that, I don’t know anything about it. Hang in there for mask suggestions. Much success to you with your CPAP therapy. My sleep doc quoted a success rate (forgot exactly how he defined it) of less than 50%. What kind of machine do you have as some are noisier than others? Regarding the mask, I am not a particular expert on ones that are quiet but maybe board members and Jason can help you out in that area. Might have better odds going this route vs. trying the Winx system since the objection you have which is noise is definitely a solvable problem. I can attest that some masks are much quieter than others, just as some machines are quieter than others. I am less sensitive to noise than others, but certainly can tell the difference. i am hearing Winx system for the first time. Reached Google and found that the Winx Sleep Therapy System is an innovative treatment option for adults with mild, moderate, and severe obstructive sleep apnea (OSA). Old thread resurrected by first time poster. Smells a bit spammy to me. Yeah, no kidding, I keep trying to get Jason to fess up about his shoe fetish, but he's been stonewalling me. Jason, is there something you want to tell us? This is a safe space, you've told us everything else! The irony is that I've been trying to contact them to do on of my "pseudoscience" reviews that make for average video content. Aaliyah....tell your handlers to send "Good Ol' Lefty" a Winx system and we'll pretend that this never happened. You can still change your evil spammy ways. WE BELIEVE IN YOU!!!! And Michael Kors.....what else are you going to carry your equipment around in? Fine....twist my arm in public why don't you. I do have a poor mans shoe fetish. (almost took a picture of all my old Adidas shoes (our favorite spammer), but my wife stopped me by giving me the show head shake with the "you make me sad when you act that way" face. Her guidance gets me through much of life's social situations appearing normal. Oh....there is so much that's been held back. I really think that we need to have a FreeCPAPAdvice.com/forum category that is just "Confessions". I think it could be like a very interesting Sub-Reddit/Best of Craigslist. This place would get spicy very quickly! Eww, not Michael Kors, I don't think I've ever seen ANYTHING by him that I like. I mean EWW! And it hurt my heart that he used Duran Duran's "Girls On Film" for his commercial, it took me awhile before I could listen to it again. HA! Dude, we even know about your vasectomy! You have piqued my interest, though. What could you possibly have not told us? On the other hand, let's keep the mystery alive! I do have a title for it, though, how's "Confessions of a HoseHead"? We can say shocking things like "yesterday I took a half-hour nap without my machine" ***GASP*** BTW, that was just an example, I haven't actually done that, please no lectures needed!